I love Pinterest! For the longest I tried to resist pinning but I couldn’t. It is so much fun and I love all of the ideas I get. From home to travel, from food to fashion, it is a great place to get inspired. So I have decided that from time to time, I will share some of this ‘pinspiration’ with you. So take a look. Although temps are warming up, they aren’t there yet. We can still use a jacket on these cooler mornings and later in the evenings. And trenches are a great way to stay warm and fashionable. The trench coat is a classic piece that every girl should have in her arsenal. And when you choose a daring pattern like the animal print above, it adds instant glam to your look. 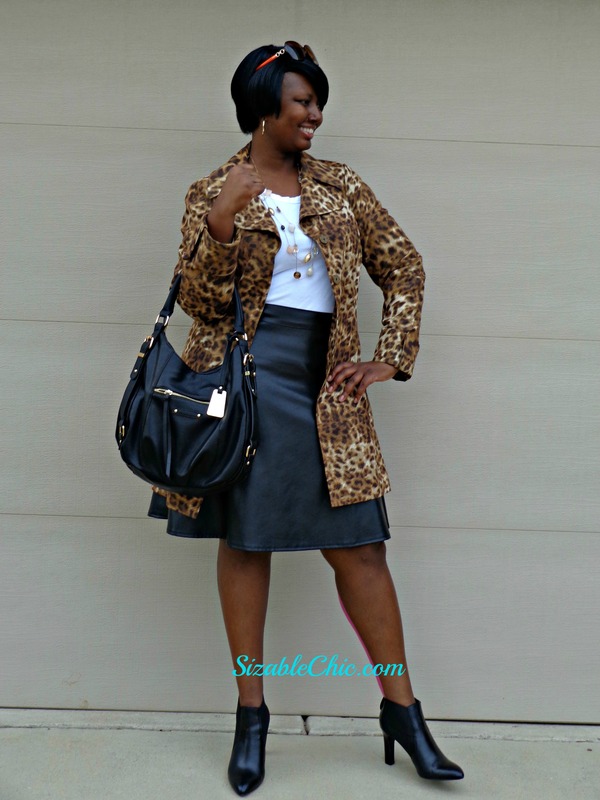 With the fun coat, I wanted a more subtle outfit and chose a black skirt with a white tee shirt. 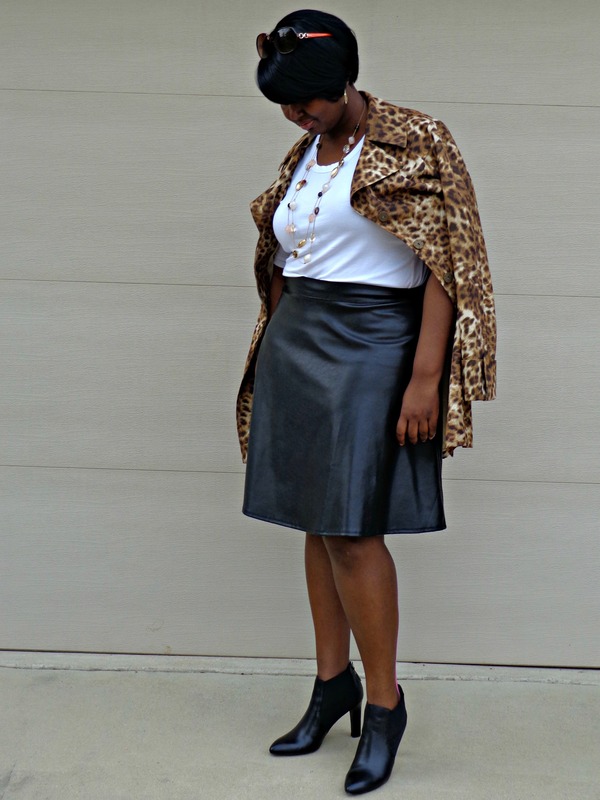 The leather-like skirt and booties added an edge to the look, while the white tee was crisp and clean. Top with so fun accessories and you’re ready for a chic day out. So tell me what you think? Do you have a trench you are dying to wear this season? Did you find inspiration is this look? Tell me about it. 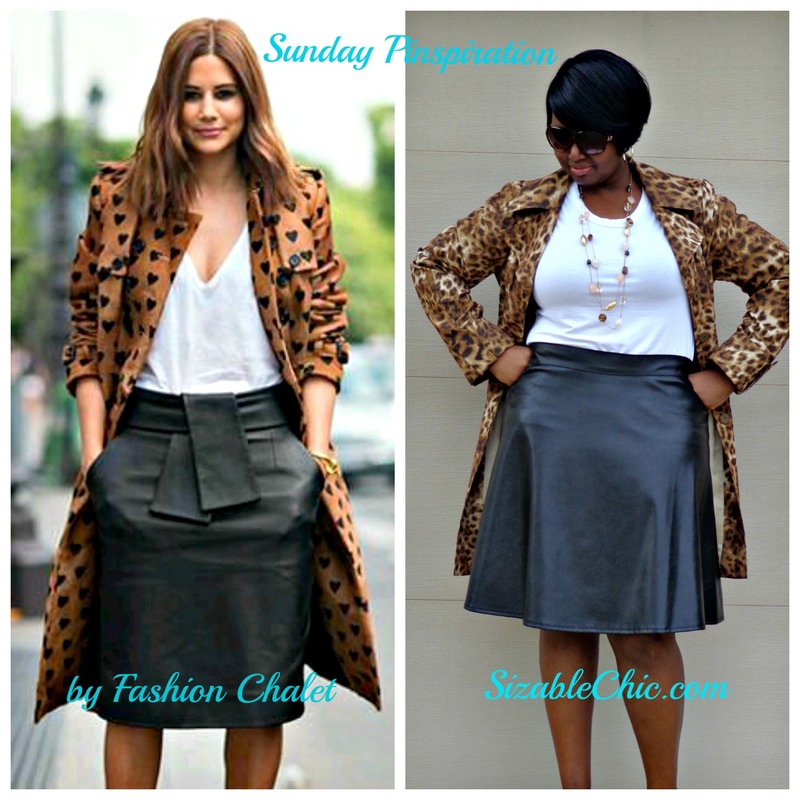 Want more “pinspiratiion’ from Sizable Chic? 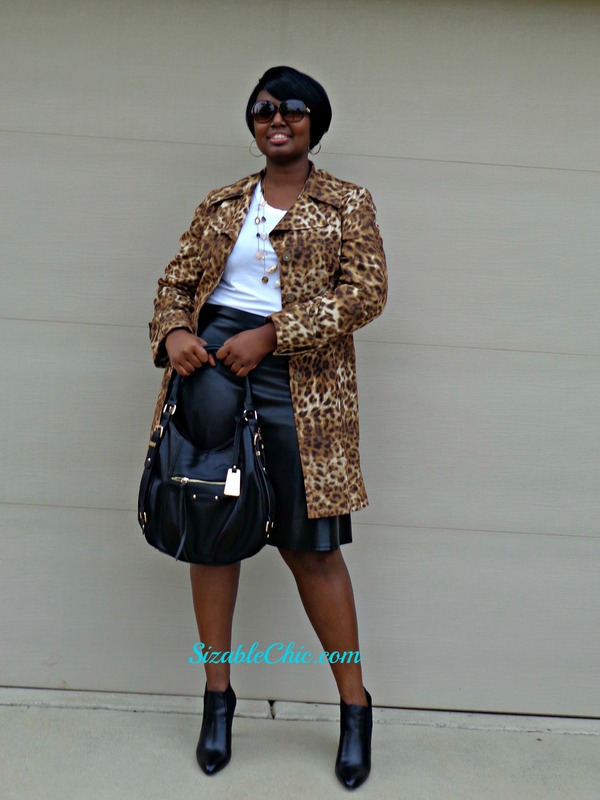 Follow me at www.pinterest.com/sizablechic. Reblogged this on Sizable Chic.